Which came first, the Abba tunes or the musical plot? We all know the answer to that. The tunes in the musical Mamma Mia were hits in the years 1977-1982. Although the concept for the musical obviously came somewhat earlier, work on it did not begin until 1997, fifteen years after the last songs were released, and the movie wasn’t released until nine years after the stage play opened in 1999. Anyone who has seen this musical surely noticed how the two dozen tunes integrate so seamlessly with the plot that anyone who wasn’t already familiar with the tunes could logically assume they were written for the purpose. Aside from incorporating voices of the actors and slight adaptations to segue them into the plot in places, changes to the original tunes were so minor as to be imperceptible. So why do I claim this totally fictitious, over-the-top comedy musical is a model for writing memoir? Precisely because it takes isolated fragments of story (each song is a tiny story) and pulls them together into a coherent overall story, woven together with some added narrative to give setting, context, and consistent meaning. Furthermore, the songs are used quite randomly, not at all in the order they were written. 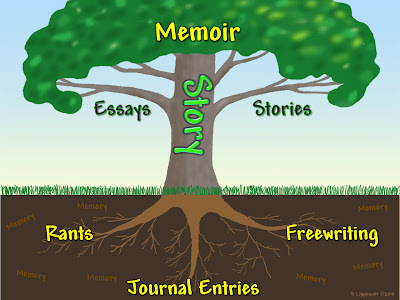 Some people plan and outline a memoir before beginning to write. That’s a reasonable and productive way to go about the project, but it’s definitely not the only way. As I point out in The Heart and Craft of Lifestory Writing, your story and your approach to managing writing projects are as personal as your finger print. You need to find your own style, honor it and stick with it. Probably more people begin by creating a random stack of completed vignette stories than by planning. Mamma Mia, the musical or movie, is a source of great hope that you can consolidate stories into a larger memoir just as Judy Craymer and her team consolidated selected Abba tunes into a cohesive production story. And maybe you can have as much fun doing it, and find as much humor in life as they did. It’s worth noting that Abba recorded over 100 songs, but only two dozen appear in the stage or movie productions. Likewise, if you have a stack of 100 stories, you’ll only include the ones relating to your specified theme or purpose for your larger story, keeping others as “singles” or material for a later project. So, take a fun lesson from a funny movie and work on your own story. 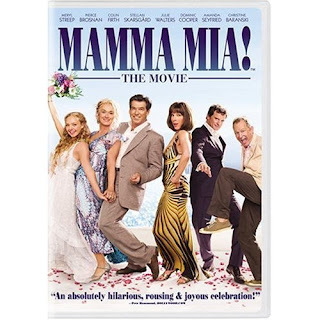 Write now: check out a copy of Mama Mia from your local library (or order it from Netlix or wherever). As you watch, pay attention to the way the stories are woven into the story line, and how narrative provides the thread for holding these beads together. Then get out your pile of stories and cluster them into themes. When you find one you like, work on weaving the stories into a comprehensive whole. This is funny, Sharon. I never thought of it this way! Glad you like the idea Linda. The movie was such fun -- it's worth re-viewing. My hubby started out assuming it was a chick flick he'd ignore, and he got drawn in. This is a great idea Sharon. It's very accessible for folks beginning their memoir projects and I think it makes the idea of a theme and selecting from one's stories much easier to understand. Gee, thanks Elly. I hadn't thought of it specifically in terms of explaining what a theme is, but indeed, many people don't quite get that. This will for sure be in my beginners classes from now on! Whew! That was a wonderful support for my style of assembling a book. Right now I am beginning to plan a tribute to my mother for this year's Christmas book. I am asking family members to contribute stories. I am getting excited about the project--something to keep my mind busy during this crazy time. Pat, the tribute to your mother sounds wonderful -- and I firmly believe she'll be there to read it! After doing one volume, the second should be a snap.